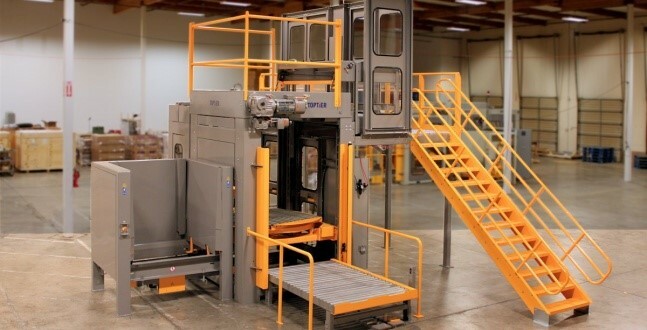 TopTier palletizers are mission-critical components of automated end-of-line packaging operations for food, beverage, and consumer packaged goods manufacturers. TopTier is the leader in innovation and value — providing palletizing solutions with speed, flexibility, and dependability for 24X7 operations. 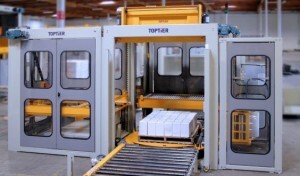 TopTier installs single palletizers or systems integrated with existing conveyor and other material handling equipment to drive productivity and increase efficiency. New patented technologies from TopTier make palletizing reliable, easy, safe, and energy efficient. They manufacture high infeed and low infeed conventional palletizers depending on the product and speed requirements.